The "Deneb J" lost power and came within about 150 feet of a reef off Duck Key in the afternoon of July 7, 2015, before dropping anchor and then being towed to a Miami port. 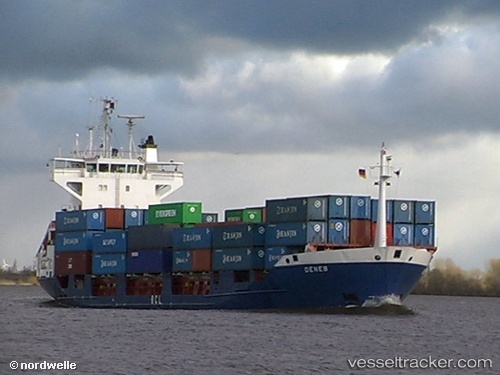 The boxship was under way in the Florida Straits when it lost propulsion about 4:30 p.m. resulting in it drifting as close as 150 feet of the reef in the Middle Keys. A tug pulling a large barge in the area close to Key West was diverted to the scene. The tug first dropped off the barge inside the Outer Mole Pier in the Truman Harbor, the body of water between the East Quay Wall and the Mole Pier, then safely towed the container ship to Miami. The barge remained in the Truman Harbor as of July 9, but was expected to leave in the coming days. The "Deneb J" submitted a proper tow plan with the Coast Guard and was not fined. Naval Air Station Key West officials were alerted of the situation and approved the use of the Truman Harbor.